Bald Eagle 4-16 First King! Went out again for a nice quick morning, starter inside and only picked up 2 quick browns. Decided we wanted to try for Lakers out deeper just for something different to play with. Went to 50-60foot and started getting Lakers off the bottom with a Green flasher fly combo. Played around out there for an hour or so then headed back into 15ft. 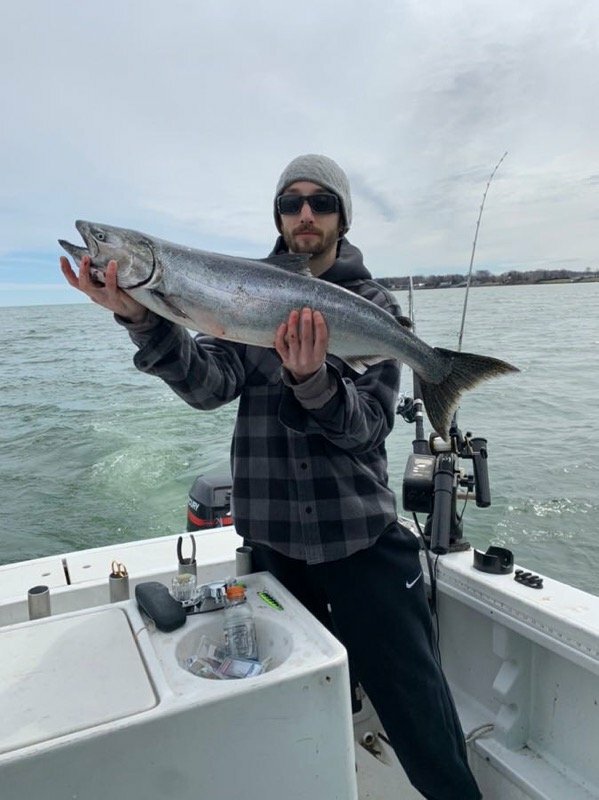 Once we passed 20ft rods started firing and got our first king of the year! Ended the day with 8 Lakers, 7 browns and a king! King took a SS Bay Rat goby. And the browns chewed on R&R spoons and Bay Rats. Fun day with some friends! Very excited for this season! great report what port were you fishing from?